Pressure cookers are durable and can last for several years. In some cases pressure cookers have been passed down for several generations of families. However, to ensure that the cooker is working properly it is necessary to test the pressure gauges. For those that use their pressure cooker frequently it is a good idea to check the pressure gauges at least once a year. If the pressure is too high or too low, it could cause food safety and appliance safety issues that can cause problems. Test a pressure cooker gauge at least once a year. Fill the pressure cooker with a quart of water and one tablespoon of vinegar. Put the cover on the pressure cooker and insert the 10-pound gauge. Turn the heat on and let the pressure build until the gauge jiggles. 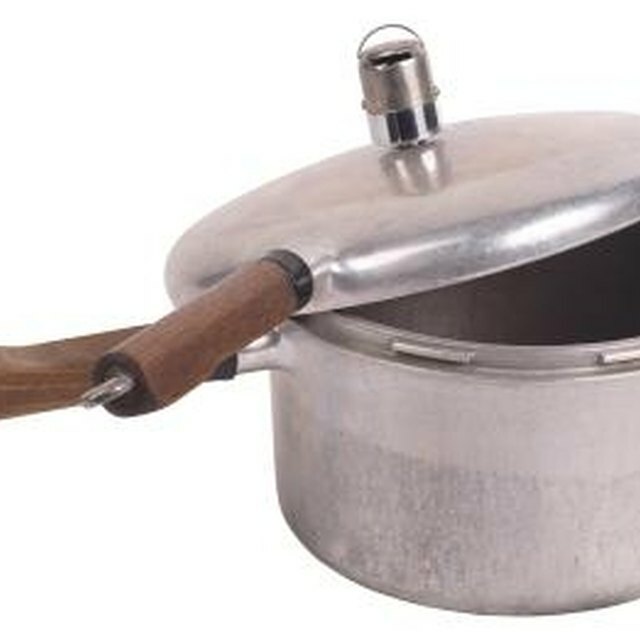 The jiggling occurs when the correct pressure has been reached inside the pressure cooker. Lower the heat until the gauge jiggles only four times in a minute. Use a timer to time the minute and count how many jiggles occur. Adjust the heat up or down until four jiggles a minute is achieved. Write down the temperature shown on the gauge when you reach four jiggles a minute. Record this temperature from the stove as this is the temperature needed to pressure cook canned vegetables. It takes 240 degrees Fahrenheit to reach 10 pounds of pressure. If the temperature used in the pressure cooker to reach 10 pounds is higher or lower than 240 degrees Fahrenheit, the gauge is out of calibration. Another option is to bring the pressure cooker gauge to the cooperative extension office at a nearby university. They will have all of the scientific and technical equipment needed to test a pressure gauge. Additionally if you find that your gauge is out with home testing the cooperative extension will be able to determine why the gauge is out.